When the vehicle is lifted, camber and caster are affected. Alignment eccentric cam are installed to help correct camber and caster. 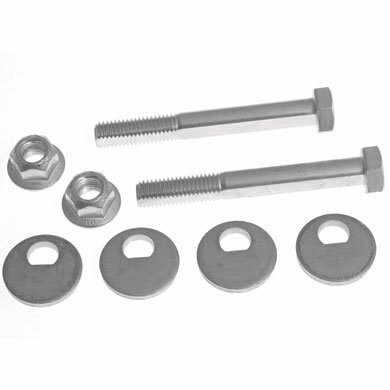 Specialty Products Company (SPC) 82380 Jeep Cam Bolt Kit These cams replace the front axle bolt and provide caster and pinion angle (up to +/- 1. It is for Wrangler TJ's, Grand Cherokees and Ram trucks with 36mm cams. In order to bring the most out of your performance suspension, a properly optimized wheel alignment is an absolute must. The ST Pro-Align kit provides everything required to align your lowered vehicle with the accuracy of a race car. In fact many professional race teams use both Pro-Align and Toe-Adjust to achieve the best alignment obtainable. 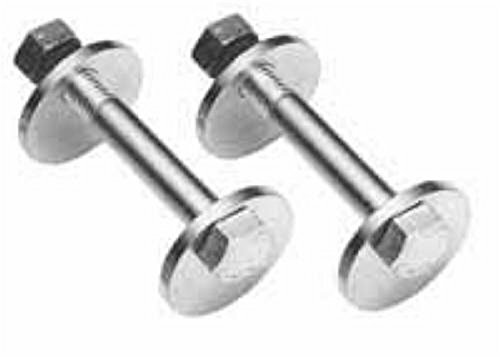 Kit includes: 12 millimeter strut/spindle cam bolt (pair) +/- 1.75 degrees of adjustment. 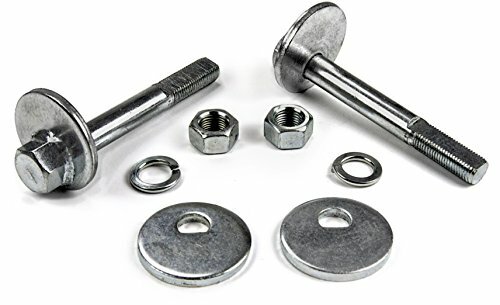 This Cam Bolt Kit is a replacement for the OE adjusters. 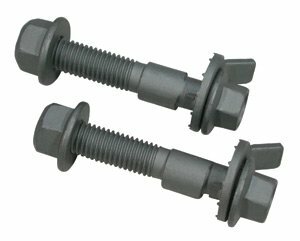 The OE bolts on Toyota trucks and SUV's are frequently "frozen" and do not allow for adjustment. Remove the frozen bolt assembly and replace it with an SPC cam kit to get up to 1.5 degrees camberaand caster change. 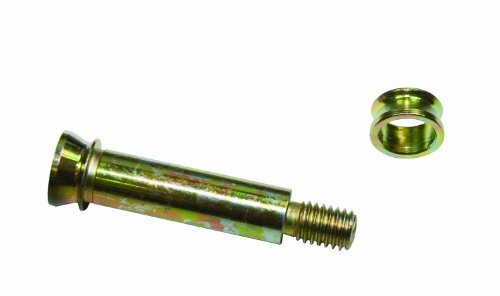 OE adjuster assemblies that are corroded may require SPC's press tool 40915 for removal, making the job quick and easy. To maintain a reputation for "zero defects", ensure optimum quality control, and produce fasteners of exceptionally high quality, ARP controls all aspects of the manufacturing process, performing all operations in-house where they can be closely monitored. This cam bolt kit is a good example of how ARP takes extraordinary steps to produce the very finest products of their kind on the market today. ARP quality delivers increased pre-load clamping force and assures positive timing gear register, while increased material strength (rated at 170,000 psi) overcomes valve train harmonics and stress. Added features include oversized bolt head flange for cam button retention and reduced socket head size to facilitate easy installation and removal. 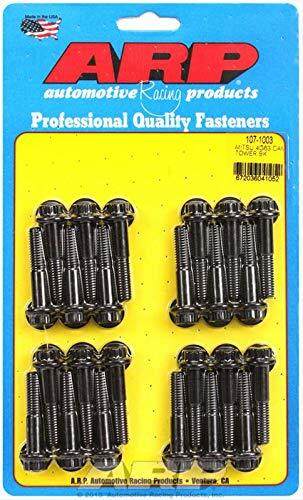 The kit includes the appropriate fasteners for your application. Rubicon Express Suspension Components allow you to tailor your suspension to your exact needs. To maintain a reputation for "zero defects", ensure optimum quality control, and produce fasteners of exceptionally high quality, ARP controls all aspects of the manufacturing process, performing all operations in-house where they can be closely monitored. This cam bolt kit is a good example of how ARP takes extraordinary steps to produce the very finest products of their kind on the market today. ARP quality delivers increased pre-load clamping force and assures positive timing gear register, while increased material strength (rated at 200,000 psi) overcomes valve train harmonics and stress. Added features include oversized bolt head flange for cam button retention and reduced socket head size to facilitate easy installation and removal. 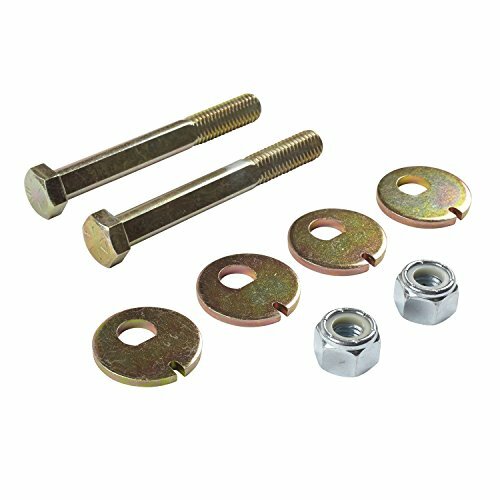 The kit includes the appropriate fasteners for your application. Ford Small Block 302-351W cid (1969 later) Ford Big Block 429-460 cid, 5/8 socket size, 3/8-16 Diameter/Thread size, 1.580 Under Head Length, Pro Series 200,000 psi, ARP 255-1001 Cam Bolt KitInstall an ARP Camshaft Bolt Kits and end your camshaft timing worries! ARP quality deliversincreased pre-load clamping force and assures positive timing gear register. 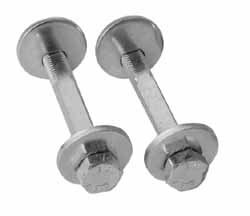 Includes appropriate fasteners for your application. 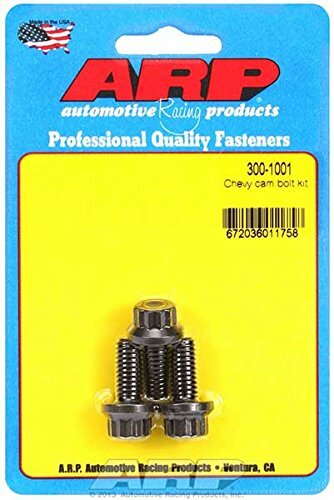 ARP Camshaft Bolt Kits Increased material strength overcomes valve train harmonics and stress. 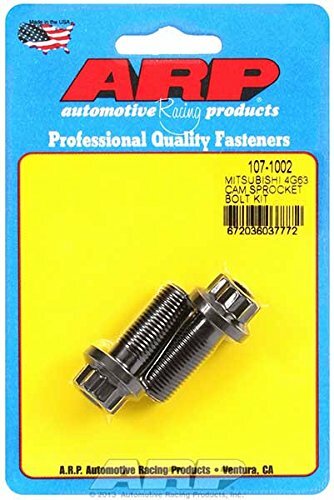 ARP Camshaft Bolt Kits Added features include oversized bolt head flange for cam button retention and reduced socket head size to facilitate easy installation and removal. Available in both High Performance and Pro Series kits. Specialty Products Company (SPC) 81240 EZ Cam XR (10mm - Pair) EZ Cam XR's are designed for non-slotted struts. It is for both sides of the vehicle. 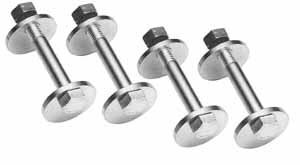 Specialty Products Company (SPC) 87400 GM Truck Cam Bolts. These heavy duty cams replace the upper control arm mounting bolts. Remove the O.E. bolts and replace with cams, rotating to provide camber and/or caster adjustment. It may be necessary to remove O.E. slugs and elongate the bolt holes with 74910 punch. Proforged's OE replacement upper cam bolt kits restore your vehicle to original standards and are a must when overhauling your suspension. 1,000,000 MILE WARRANTY. You can install our control arm shafts with confidence knowing that every part we sell is backed by our industry-leading 1,000,000 mile limited warranty. We can offer this because our parts are engineered, tested, re-tested, and subject to strict quality control procedures - our quality is second to none. CRAZY STRONG CONTROL ARM SHAFTS. Proforged control arm shafts are built using some of the toughest steel on the planet. Every fit surface is CNC machined for precision fit and finish. BUILT FOR PROFESSIONALS. There's a reason why the most well-respected performance suspension brands use Proforged control arm shafts - we're fanatical about quality, performance, and durability. Professionals save time and money with our competitively-priced products that outlast inferior brands. Do the job with confidence - replace your worn components with the leader in performance control arm shafts: Proforged. WHAT IS A CONTROL ARM SHAFT? A control arm shaft (also known as an A-arm shaft) connects your control arm to the vehicle's frame. A worn control arm shaft causes poor handling and makes it difficult or impossible to achieve an alignment, which leads to rapid tire wear. Replacing your worn control arm shafts gives a noticeable improvement in steering feel, handling, and safety. Degree cam bolt rear lower pair. 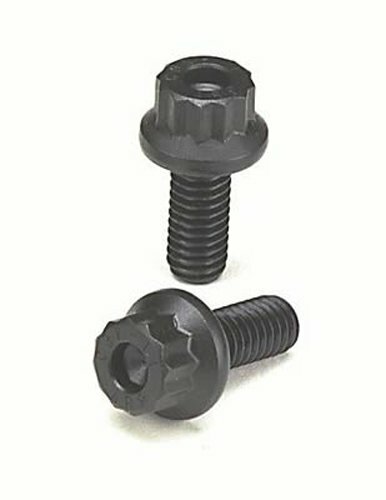 Specialty Products Company (SPC) 82370 Jeep Cam Bolt Kit Correct the rear pinion angle on the TJ Series by replacing the OEM bolts on the upper trailing arms with these cam bolts rotating to make an adjustment. Lifted 2007 Jeep JK models can be prone to developing steering shimmy due to excessive rim and tire width or excessive caster. 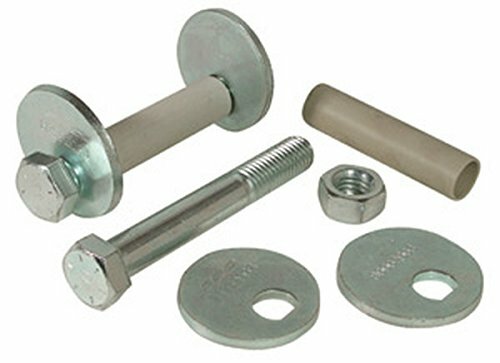 A front alignment cambolt kit can be used to fine tune caster to correct these common issues. The rear pinion angle can also be adjusted with a rear alignment cambolt kit to help diminish driveline vibrations. 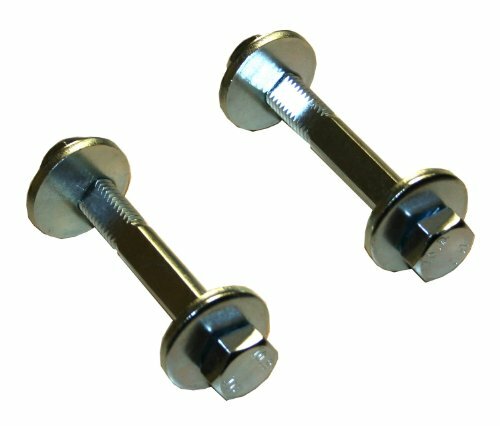 These cam bolts replace the fixed non-adjustable lower control arm mounting bolts that fasten the lower arms to the axle. The cambolt kits should be recommended and sold to any enthusiast who is installing a 2-5 JK suspension lift. Skyjacker Suspensions is bigger and better than ever offering Leveling kits, Sport lifts and Suspensions kits. For over 35 years Skyjacker has proven to be the innovator in the suspension market. This commitment to cutting-edge technology has enabled Skyjacker to deliver a huge selection of products for you. 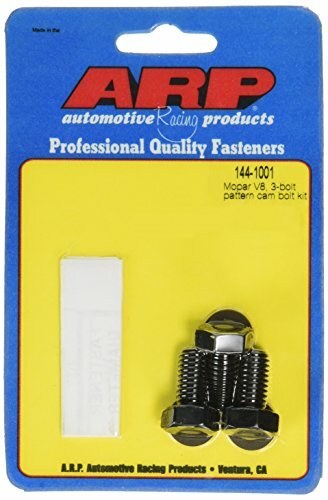 ARP Pro Cam Bolt Kit includes appropriate fasteners and is designed to increase preload clamping force to ensure positive timing gear register. It features oversized bolt head flange for cam button retention and reduced socket head size to facilitate easy installation as well as removal. This cam bolt overcomes valvetrain harmonics and stress with increased material strength with corrosion resistance.